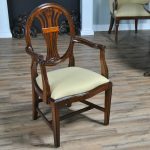 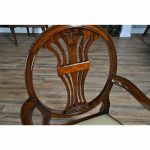 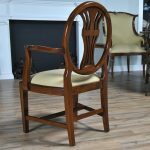 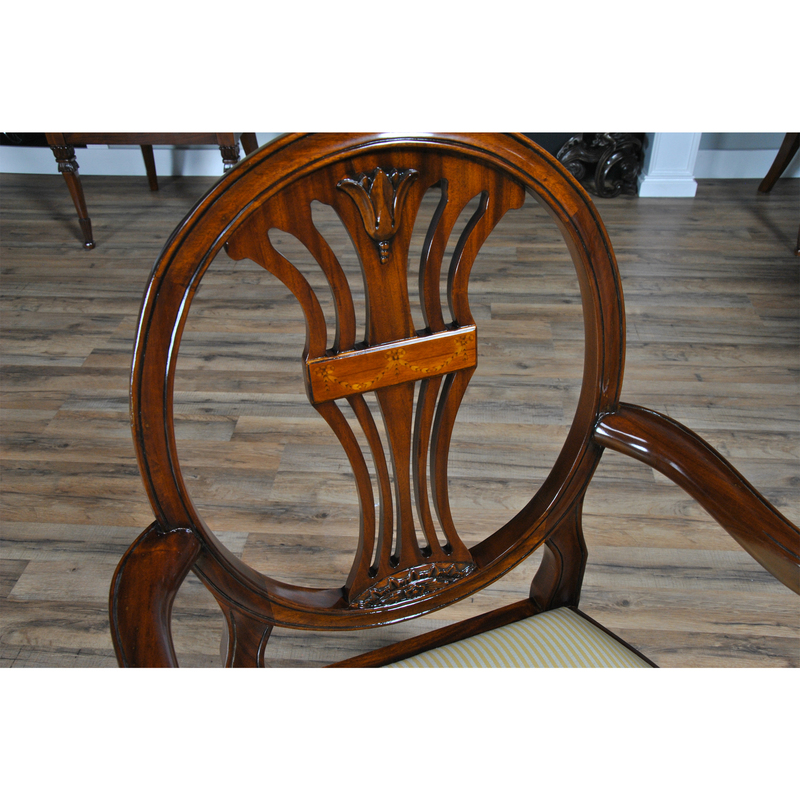 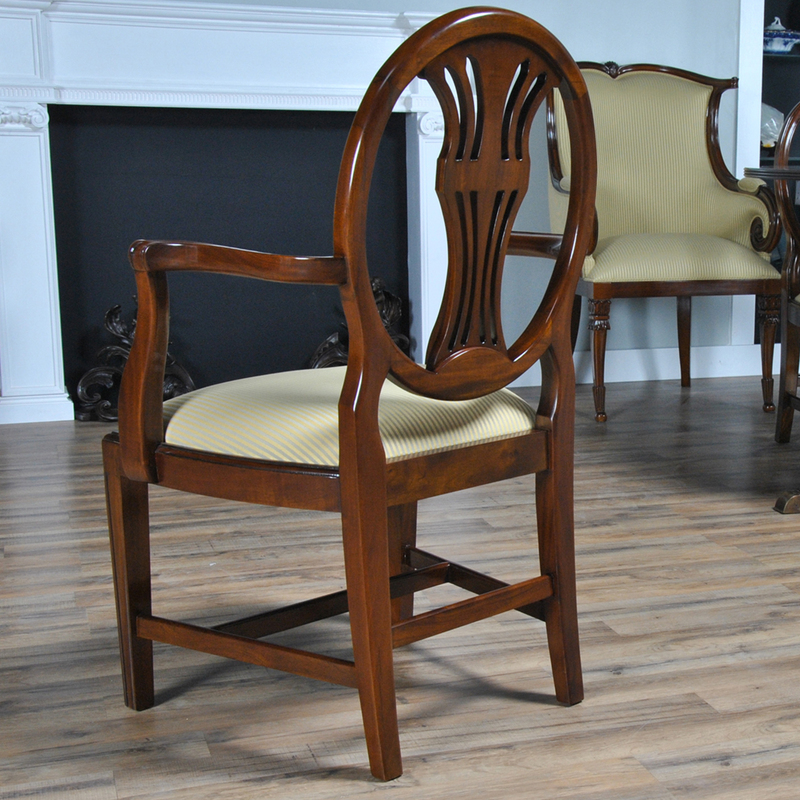 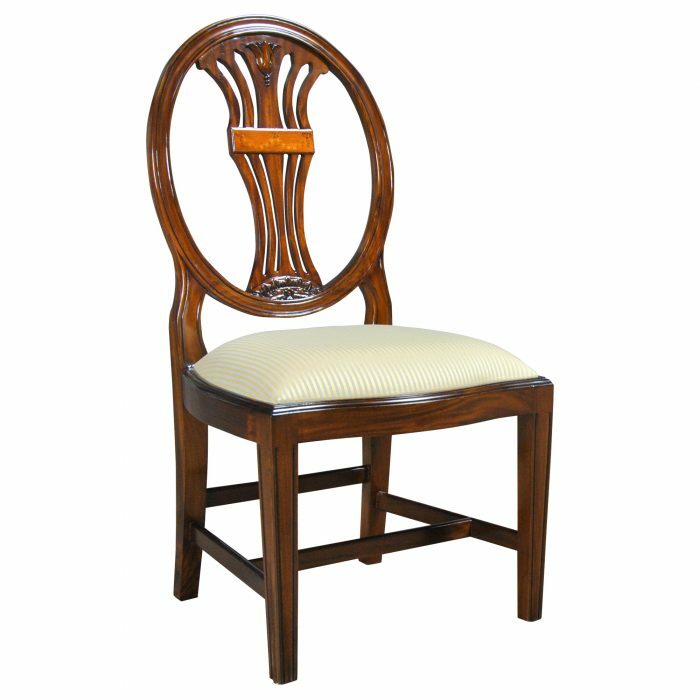 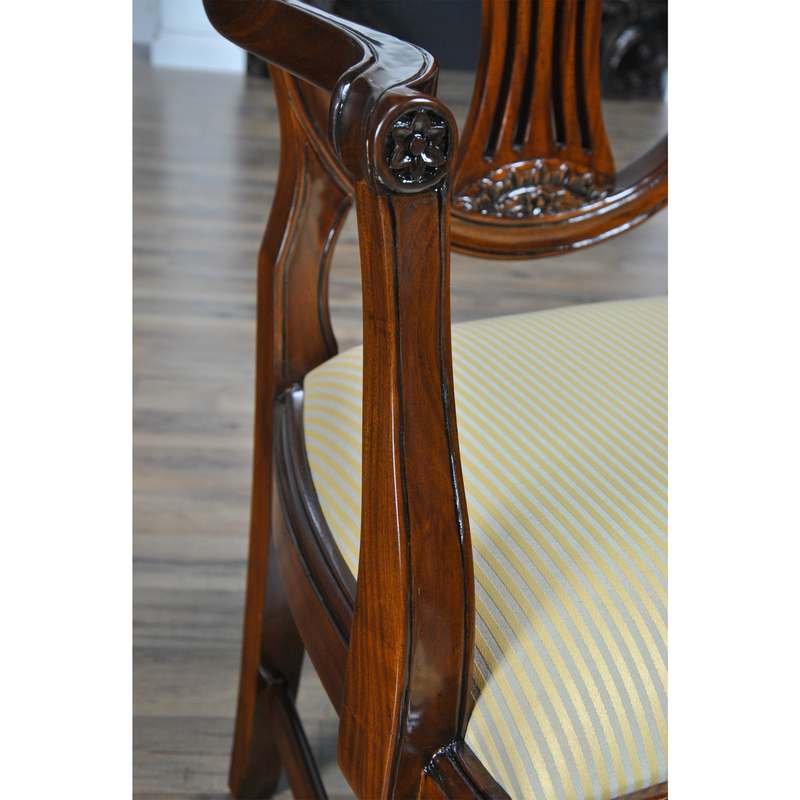 An elegant and stylish oval back inlaid arm chair from Niagara Furniture featuring great design and high quality workmanship and materials, including a solid mahogany frame, hand carved details and a beautiful golden brown finish. 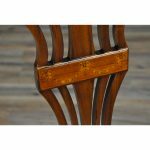 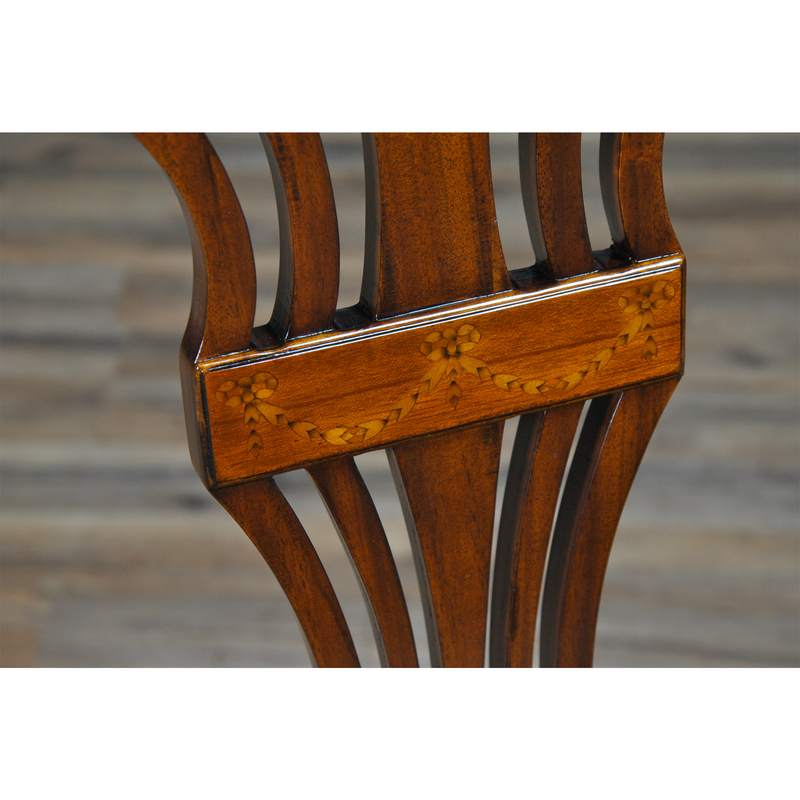 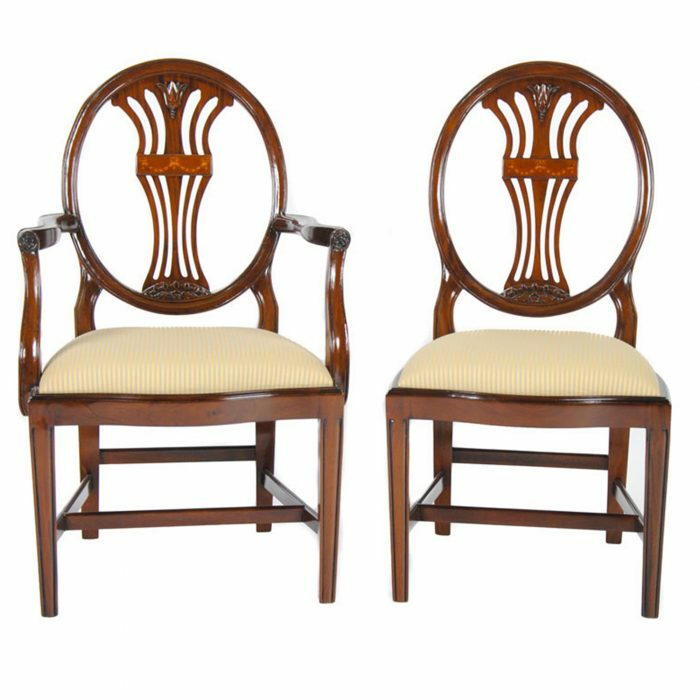 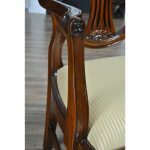 A super look with scrolled and shaped arms, hand inlaid design in the center of the back splat, cross stretchers supporting the chair legs as well as a drop in seat that makes fabric changes easy. 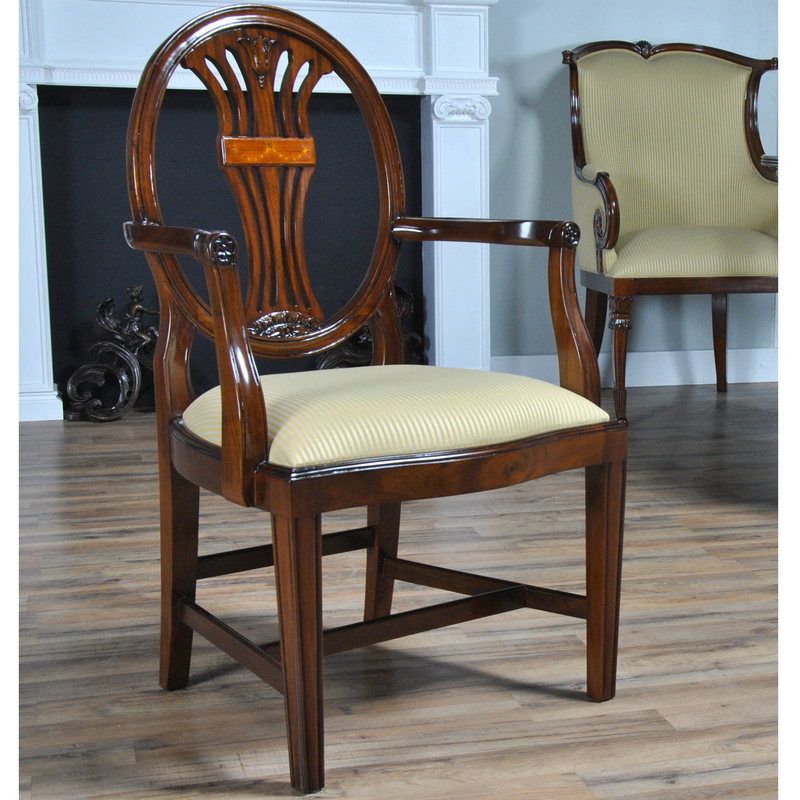 The Oval Back Inlaid Arm Chair is a luxury designer look all at a reasonable price with no assembly required. 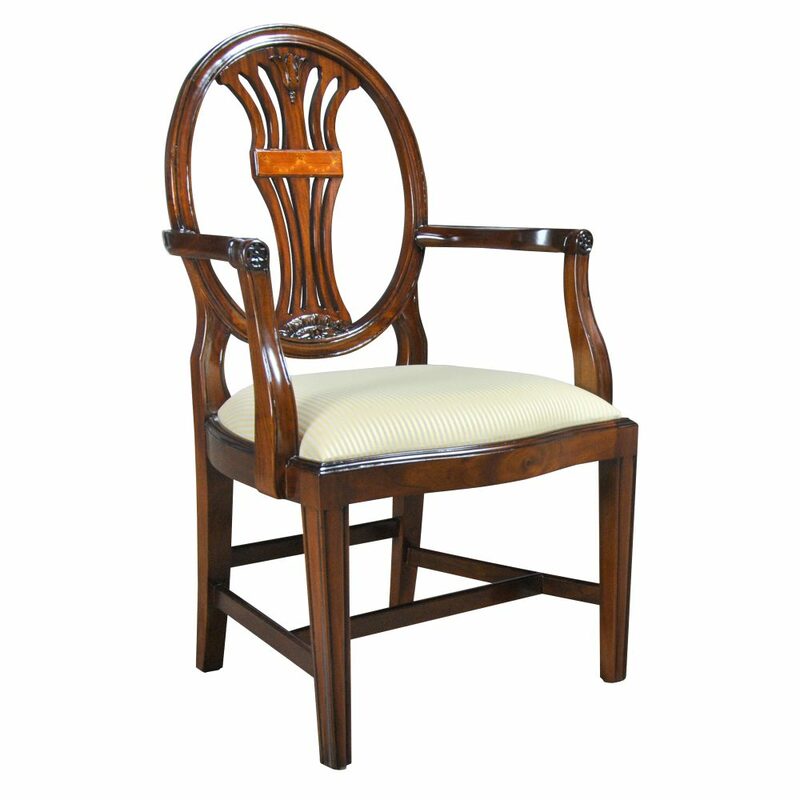 Seat height approximately 20 inches, arm reaches a maximum height of 27.5 inches.